Packt Publishing released a new title named, Building a Home Security System with Arduino authored by Jorge R. Castro. I received a free copy of this book from the publisher and agreed to read the book and write the review. 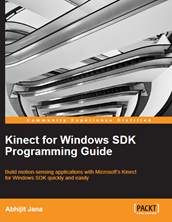 I personally have lot of interest for Home Security System, and worked a lot with different Home Security Scenarios using Kinect for Windows device. Hence, reading out this book was full of enjoyment for me. This book gives a great coverage of different possibilities that you can design for. It is a great book for anyone who is starting with Arduino and want to build some cool stuff by own. The approach of the book made it very easy to follow and learn. This book start with very well explanation of different scenarios of Home Security system, how does they works and how you can turn your current home to a security system. This actually gives you a well understanding about different platform, scenarios and types of application that you can easily built. 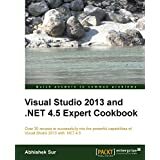 Packt Publishing released a new title named, Visual Studio 2013 and .NET 4.5 Expert Cookbook authored by Abhishek Sur. I received a free copy of this book from the author and agreed to read the book and write the review. As the title says, this book turned out to be a nice and detailed collection of insights on various powerful capabilities of Visual Studio 2013 and .NET 4.5. The approach of the book made it very easy to follow, learn as it takes you through the insides of each topic with – what, why, how and so on. This book is written in the form of recipes with step-by-step guide on every topic and they are really easy to understand and to deal with complex software problems. This book starts with few handy tips of debugging, then covers WCF 4.5, tips on Windows Phone 8, Working with Team Foundation Server etc. This book also covers Testing application using Visual Studio, MEF, T4 templates and ends with some nice touch up on Azure.